Are you too tired to cook tonight? Trying to avoid the guilt of eating out? Let me help! Click the button below and get my FREE Gift written just for you. 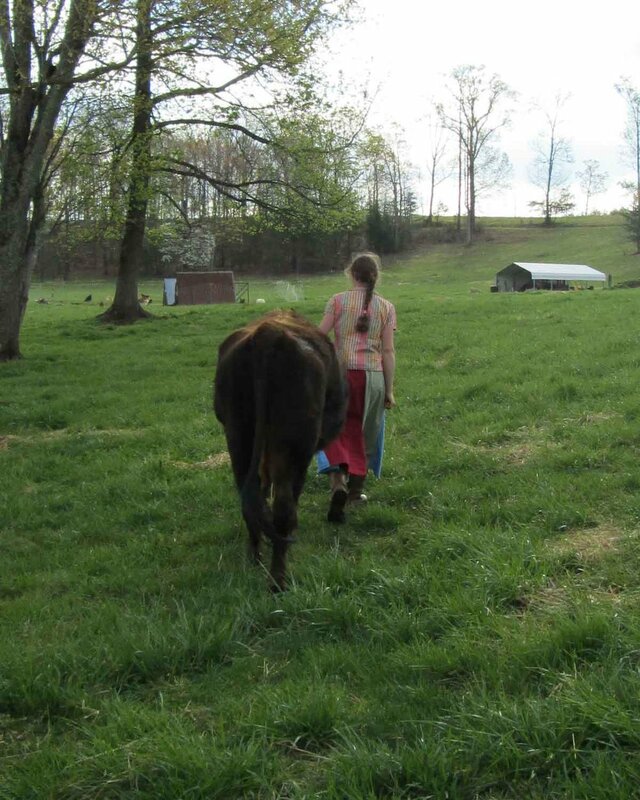 Foggy Knob Farm offers a variety of farm fresh, healthy foods for you and your family. Our animals are raised on well managed green grass so they provide optimum nutrition and flavor. You can feel good, as I do, about feeding your family these wonderful, health-giving foods. Elegant enough for that intimate dinner party, simple enough for a quick supper on the grill, our Grass Fed Lamb is a versatile alternative to beef or seafood. Available seasonally by the half or whole. We offer something unique in raw milk herd shares: flexibility. Why? Because life is busy enough without trying to time your weekly milk pick up. And not everyone wants just milk. Purchasing a share of our small, pasture based dairy cow herd allows you to choose when you want to pick up and the products you want when you do. Our Forest Raised Pork is finished in the autumn when acorns are abundant, giving it an umami your taste buds will remember. Available by the quarter, half or whole.